Here's a spicy new gossip to get everyone's interest piqued. 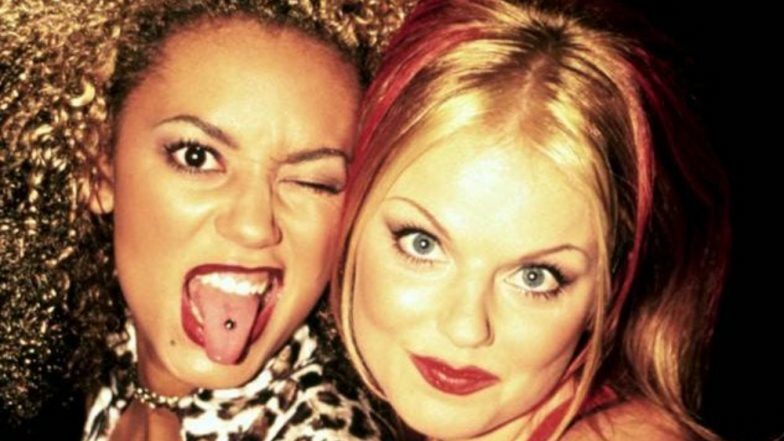 Spice Girls member Mel B recently made a claim that she slept with her bandmate Geri Halliwell during their heydays! You heard that right. During one such interview with Piers Morgan's ITV show, Life Stories, Mel B aka Scary Spice dropped the news that she and Geri did sleep together. For the longest time, rumours about Mel B and Geri Halliwell sleeping together were doing the rounds. However, Mel B's recent claims have put a green tick on the speculation box! The interview transcript of the same was posted on Mail where Piers, asked Mel B, "Did you or didn't you with Geri Halliwell...did you sleep with her?" To which, Mel B replied, "Yeah, we all slept in a bed together but not 'like that' all of us." Of course, though, Morgan didn't stop with his dogging there. He further asked, "Did you sleep with Geri 'like that'? And finally, Mel B broke into a smile before confirming, "She's going to hate me for this because she's all posh in her country house and her husband. But it's a fact. It just happened and we just giggled at it and that was it." "It was just that once," Mel B further added, "And hopefully when Geri gets asked that, which hopefully she will after this, she won't deny it. Because it was just a fun thing." Well, isn't this interesting! Currently, both Mel B and Gei Halliwell are married to Stephen Belafonte and Christian Horner respectively. With the upcoming Spice Girls reunion tour, we wonder if things will get a wee bit awkward. Apparently, after the interview, Mel B immediately made a panic call to Geri to apologise!